The Cabinet of Living Cinema is a collective of Dorset based musicians, film-makers, animators and artists, who specialise in creating live music for film. This new performance brings to life Nash’s artistic and philosophical ideas combining a lilting score with beautiful animation. 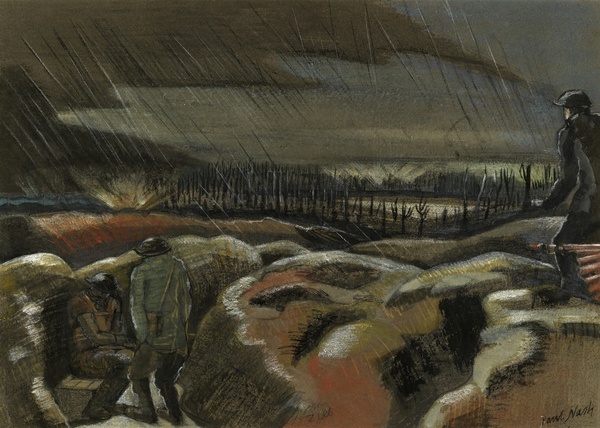 In the 1930’s artist Paul Nash, still haunted by the hellish visions of the trenches, adrift of an artistic vision of his own, found life and love amidst Dorset’s coast and ancient ruins. Here he fell in love with fellow surrealist Eileen Agar and his version of English Surrealism took flight. Nash died in a guesthouse in Bournemouth, having spent his last days revisiting the places in Dorset that had inspired his surrealism. An evening of film, live music and animation at Portland’s very own theatre. Details and booking from The Royal Manor Theatre BOX OFFICE: 03336 663366 https://www.ticketsource.co.uk/royalmanortheatre and b-side. Be the first to comment on "The Kingdom of Paul Nash – an illustrated ballad, a celebration of love and surrealism"